This year it has been requested to hold an Autoslalom Workshop the day of the AGM, November 18. And we are doing exactly that! 10 AM, Saturday the 18th at the Sheraton Hotel at Leslie and the 404. We will be discussing improvements that can be made to the series, what will be happening for 2018, and, WHO WILL BE TAKING OVER AS DIRECTOR. As I have mentioned before, it is going to take a couple of dedicated people to organize and execute this properly. Need a director, and a registrar/chief timer. One or both will be attending ALL events in 2018. They will have the timing equipment as well as a much better and accurate registered list of competitors. Lunch will be provided courtesy Firehouse Subs. AGM to follow at 2 PM, and those that are considering the directors position will be required to attend the AGM for elections. I'll try to make it to this. Been a long day already! I have to, because I'm advocating a pretty significant change. And Travis, I will have your axle stand! It's in the truck. Don't let me forget it! I think we'll hit 10 people. Adam (#547) confirmed to me that he is coming on Saturday so add him to the head count. We have the room at 9am, coffee and pastries will be available then. Meeting to START at 10:00. RACE again will be picking up the tab for lunch. They are so nice...... Big brother always taking care of us! Yeah I work this weekend so cant makr it. Until a more official minutes is available, here is what went down at the workshop. We're going to trial MJtiming at next year's autoslalom school, and OMSC's test & tune if they organize one again, along with some hardware recently recovered from under Travis' deck. 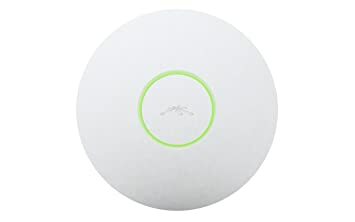 Ubiquiti UniFi AP Long Range! Power and data feeds over the same ethernet cable meaning we could in theory position it closer to the paddock even when timing tent isn't anywhere close. * This I hope should improve the range of live results. I'll run this for a while at home to see what kind of range I can get. Because it's missing its mounting ring, suggestions on how to mount this thing 8 feet in the air are welcome. We want to get official results out as soon as possible after the last run. Goal is 30 minutes after, but chances are you'll be on you way home then. This is currently not happening because Travis needs to do a ton of "post-processing" before results can be made official. * Although it'll feel more at home high up on the underside of timing tent IMO. Steven, gotta check if we can use one of the region's ice race registration laptops and its mobile hotspot. Preferably there'll be 3 people working around timing. One for data entry, one to man the radio, one goes around telling people if they're getting reruns and/or not to stick their arms out the window. Attention all competitors! Know your class before you come. Anyone not declaring their class at registration get placed into A-mod. We like the mock grid WOSCA uses in their events. It makes things move quicker. But to pull it off we need the space (mmm Picton) and have to do run groups. Marshal changes at Picton needs to be streamlined further. Series trophies presented to top 10 present and our champion Val. Congrats! I have one of these at home, and on my main floor mounted at the ceiling, I can see the AP from the park (about 140 yards away). And this is through a brick wall. These things are pretty amazing. I wouldn't worry about the ring too much. I'd suggest just mounting it with a few of those 3M velcro heavy duty strips (https://www.command.com/3M/en_US/com...4737318&rt=rud) which work really well (I use them for tons of stuff around the house). The AP itself is very light, so it should be fine. Depending on how long of a run you need, you might need some sort of network switch in the middle to repeat the signal. Maximum length under cable specifications for category 5 is 100 metres.